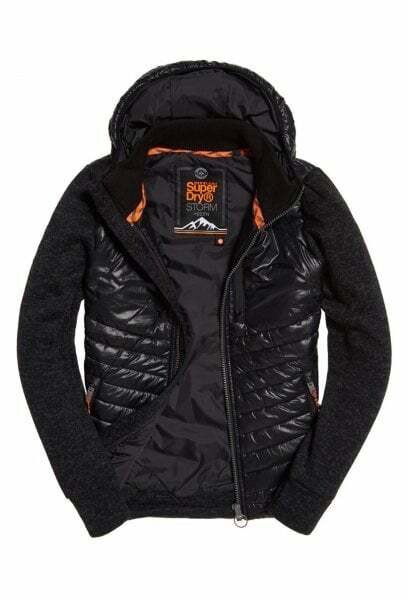 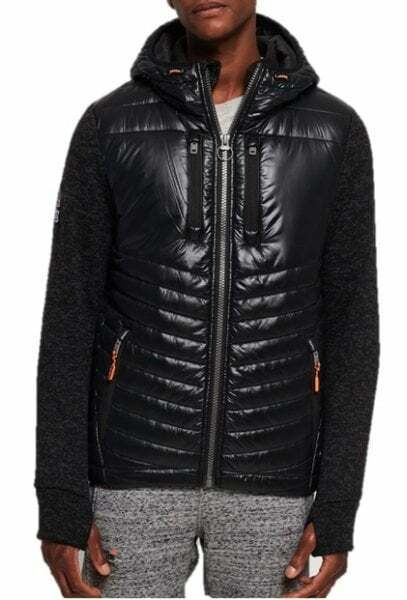 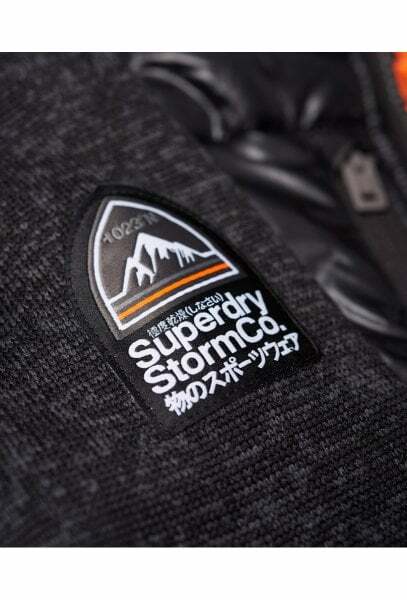 Superdry men’s Storm Hybrid zip hoodie. 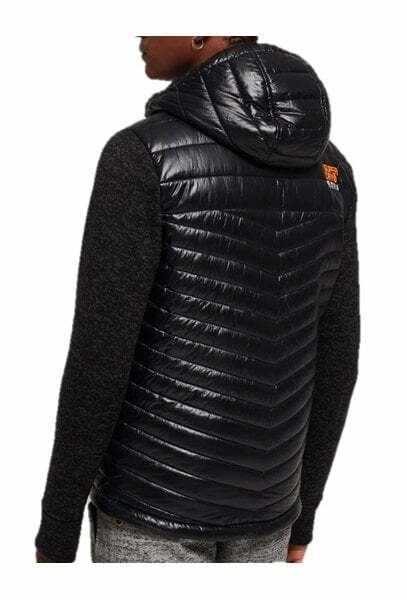 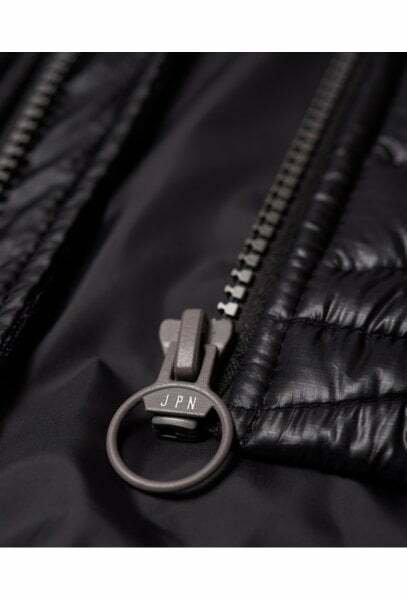 This zip up hoodie features a bungee cord adjustable quilted hood and hem, quilted torso and thumbholes in the cuffs. 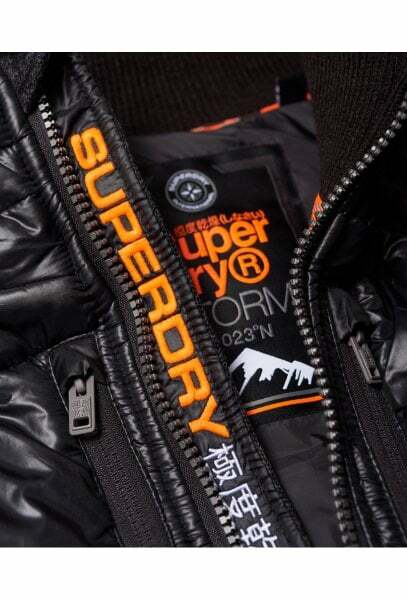 The zip hoodie is finished with a Superdry Mountain patch on one sleeve, an embroidered Superdry logo on the back of the shoulder and four front zip pockets.